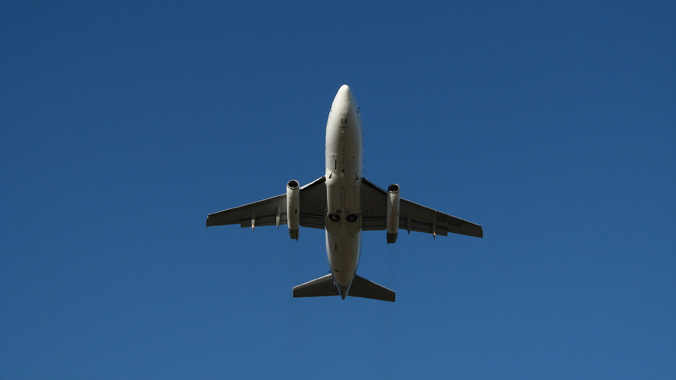 Practitioners in the field of aviation law are used to seeing civil actions arise as the result of an aviation accident. In fact, the proceedings are inevitable, as are the statutorily mandated investigations by the National Transportation Safety Board (NTSB)1 into the causes of accidents. The NTSB proceedings may prove quite helpful to the practitioner handling the civil case arising from an accident. At least the factual portions of the NTSB report are generally held to be admissible into evidence at trial2 and the laboring oar is often taken by the NTSB in the conduct of their investigation with respect to the interviewing of witnesses, narrowing the issues in the civil litigation and ruling out possible causes for an accident. While the criminal prosecution of transportation companies arising from accidents goes back almost one hundred years, New York Central & Hudson Railroad Co. v. U.S., 212 U.S. 481 (1909), the next three quarters of a century saw very little criminal prosecution of corporations involved in transportation accidents. The trend toward criminal prosecution of corporations began in 1991, with the indictment of supervisory personnel at Eastern Airlines for so-called “pencil whipping” and falsifying maintenance records. While the indictments were ultimately dismissed due to violations of the federal Speedy Trial Act,4 the prosecution of one of the (at that time) leading airlines in the United States set off a red flag of warning that perhaps, in addition to FAA penalties for falsifying records,5 the persons guilty of such actions could face criminal prosecution. The red flag became a full-blown warning sign following the crash of ValueJet Flight 592 in the Florida Everglades on May 11, 1996. The facts of the ValueJet case are well-known to anyone practicing in the field of aviation law: the crash of the plane, which killed all one hundred and ten passengers and crew aboard, was traced to oxygen generators which had been removed from service and improperly secured and loaded into the cargo hold of a ValueJet MD-80 aircraft bound for Atlanta from Miami. Shortly after takeoff, an uncontrollable fire started in the aircraft and it crashed in a remote area of the Everglades. In view of the developments since the horrific incident of September 11, 2001, the charging of SabreTech with placing a destructive device on board an aircraft may seem to be prosecutorial overcharging. Although SabreTech was ultimately acquitted of the federal charges based on its wilful mishandling of the oxygen generators, it was nevertheless convicted for reckless mishandling of the same. Perhaps even more significantly, the conviction on federal charges did not end SabreTech’s troubles: SabreTech was indicted in the Florida state courts for 110 counts of third degree murder and 110 counts of manslaughter, one count for each of the fatalities aboard the subject flight. The criminal charges have now been dropped in exchange for a donation of $500,000 by SabreTech’s corporate parent, The Sabreliner Corp. to aviation safety causes. What has been accomplished by the SabreTech indictment? Clearly, it resulted in the bankruptcy of SabreTech, the loss of jobs for hundreds of employees, and the destruction of the company, leaving it with a negative net loss of over $21 million. Debates on whether criminalization of negligence is the proper route to pursue abound. Ken Quinn, who represented SabreTech, has testified, lectured and written on the topic many times. His position is that the criminalization of aviation accident is an ominous development for the aviation industry since it impedes cooperation by mechanics, flight crews, manufacturers and others with the NTSB investigatory process. Likewise, in the Alaskan Airlines case in the year 2000,11 where an Alaskan Airlines flight crashed off the coast of California, allegedly due to a problem with the jack screw, Alaskan Airlines’ employees have been reluctant to talk to NTSB investigators. The problem in the Alaskan Airlines case is exacerbated by the fact that, even before the accident, the U.S. Attorney’s office had commenced a separate investigation against Alaskan Airlines to determine whether a pattern of violation of maintenance regulations had taken place. The governmental decision to pursue criminal charges in connection with the ValueJet case appears to be the bell weather of a change in the criminalization of what had been previously viewed as negligent acts. The United States Attorney in Miami has been particularly active in pursuing criminal investigations. In his testimony before the Subcommittee on the Aviation, Committee on Transportation of Infrastructure, United States House of Representatives, concerning aircraft accidents and criminal investigations, Guy Lewis, the United States Attorney for the Southern District of Florida testified on July 27, 2000 as to the various criminal prosecutions undertaken by his office.12 Mr. Lewis emphasized that in deciding whether to proceed with a criminal prosecution, his office took a reasonable and principled approach. Having applied that criteria, the United States Attorney’s office in Miami has brought criminally related prosecutions in the area of passenger aircraft, freight forwarders, cargo aircraft, airport personnel, repair facilities, parts suppliers and air rage. For example, the United States Attorney’s office obtained a conviction of Aviation Safeguards, a contract security company providing services at Miami International Airport. Its general manager and the corporation were convicted of falsely certifying that background employment verifications had been performed on prospective employees seeking to enter secure areas at MIA Airport. As part of the penalty phase of the conviction, Aviation Safeguards was required to institute a compliance program which involved comprehensive employment training and auditing by outside consultants. Actions have also been brought against participants in the alleged counterfeit parts market. Arrow Air has pled guilty to falsifying records on engine parts not certified for airworthiness by the FAA, resulting in a $5 million fine and a comprehensive compliance program. Following the accident involving a Fine Air aircraft on takeoff from Miami in August of 1999, the airline was charged with obstruction of justice and false statements regarding the weighing of cargo pallets and payloads. The company pled guilty to two charges, unrelated to the crash, including making a false statement concerning maintenance matters and obstructing the government’s investigation by destroying, disposing of or altering evidence. Neither have the larger air carriers been immune to criminal prosecution by the U.S. Attorney’s office in the Southern District of Florida. An investigation into the transportation of hazardous materials by American Airlines resulted in a felony conviction, an $8 million fine and a restitution payment of $2 million to local authorities by American Airlines. Its parent corporation, AMR, pled guilty to federal charges that it illegally stored hazardous waste materials at Miami International Airport and that it had failed to follow Federal Aviation Regulations that strictly controlled the transportation of hazardous material on passenger planes. What are the various statutes that an airline, fixed based operator, or maintenance company must be concerned with in a potential criminal prosecution? A surprisingly large number of federal statutes have been utilized by the federal government to prosecute corporate conduct relating to accidents. Some of these statutes include the False Statement Act,13 the Mail Fraud and Wire Fraud statute,14 the Obstruction of Justice Statute,15 the Hazardous Materials Act16 and state homicide statutes. Interestingly, in deciding whether or not to cooperate with a criminal investigation, the company lawyer needs to look at a rather remarkable document published in 1999 by the Criminal Division of the Department of Justice, which promulgated its “Principles of Federal Prosecution” as a guide to prosecutors in determining whether to bring charges. The prospect of a criminal investigation is daunting to the practitioner. While insurers typically oversee the defense of the corporation in civil proceedings, and specialized counsel, even in-house counsel, customarily work with the NTSB on behalf of the corporation in dealing with administrative proceedings arising from an aircraft accident, the possibility of a criminal investigation arising from an aviation accident is one that cannot be overlooked by conscientious counsel. Some of the many issues which arise include work product, scope of representation, joint cooperation agreements, and the not insignificant issue of who will pay for the defense of criminal investigations. The attorney representing a defendant in an aviation accident related matter must not only be a good civil litigator; he must have a working knowledge of the criminal law and the various statutes which may be used to implicate the corporation, its officers and employees. 1 49 U.S.C. § 1131. 2 49 U.S.C. § 1154(b); (I>but see In Re Air Crash at Charlotte, N.C. on July 2, 1994, 982 F. Supp. 1071 (D.S.C. 1996); Contra, Chiron Corp. v. Nat. Transp. Safety Bd., 198 F.3d 935 (D.D.C. 1999). 3 The Florida Bar Continuing Legal Education Committee, Trial Lawyers Section and Aviation Law Committee and NTSB Bar Association sponsored the program entitled Meet the Blues — Current Aviation Law Developments, which was held on November 8-10, 2001. 4 18 U.S.C. § 3161 et seq. 5 49 U.S.C. § 46310. 6 49 U.S.C. § 47126; 49 U.S.C. § 46310. 7 49 U.S.C. § 46312. 8 18 U.S.C. § 32. 9 Testimony of Kenneth P. Quinn before the Aviation Subcommittee of the Committee on Transportation and Infrastructure, U.S.H.R., July 27, 2000. 10 Testimony of Jim Hall, Chairman, National Transportation Safety Board, before the Committee on Transportation and Infrastructure, Subcommittee on Economic Development, Public Buildings, Hazardous Materials and Pipeline Transportation, House of Representatives, regarding the June 10, 1999 Pipeline Rupture and Fire in Bellingham, Washington, October 27, 1999. 11 In Re Air Crash off Point Magu on January 30, 2000, MDL 00-1343 (N.D. Cal.). 12 Testimony of Guy A. Lewis before the Aviation Subcommittee of the Committee on Transportation and Infrastructure, U.S.H.R., July 27, 2000. 13 18 U.S.C. § 1001. 14 18 U.S.C. §§ 1341, 1343. 15 18 U.S.C. §§ 1501-1518. 16 49 U.S.C. §§ 5101-5127. 17 United States v. 20th Century Fox Film Corp., 882 F.2d 656 (2d Cir. 1989). 18 Corporations do not have a right against self-incrimination, Branswell v. United States, 487 U.S. 99 (1988) but corporate officers and directors have the right to invoke protections afforded by the Fifth Amendment. George Campbell Painting Corp. v. Reid, 392 U.S. 286 (1968).